I am in the process of putting my truck back together after paint and body. It feels like I'm skipping a step by putting in my old faded interior plastics. So I am thinking about repainting them. I'm looking at using SEM Color Coat. I've been happy with all their other paint products. Has as anyone here used SEM, and what color best matches the factory grey parts? What grey interior parts do you need? I found a junkyard with two Comanches that have grey interior parts. I have all grey interior parts, I was just looking to freshen them up. I have used SEM color coat for plastics with great results. Freshened up the interior of my K5 Blazer back in 1998, used the camel color. It was such a perfect match, the only way to tell where the new paint was sprayed, was the lack of scratches in the paint. I used the "sand free" SEM product which is an adhesion promoter and the paint held up extremely well to use. I've also used the Burgundy color to paint S10 Blazer lights for use as replacements for the B pillar lights on our Comanches. It is an excellent match. I've used two different colors of gray on the S10 lights. I have a 91 XJ with gray interior to compare to, and they are less than ideal matches. There are other colors in their lineup, but I'm not sure any of them are an exact match like the camel and burgundy. Cruiser54 recently painted some of the S10 lights gray for his truck and it was a good match, although I don't remember the color/brand of paint. Another option would be to go to a professional paint store and they can custom mix a matching color in a paint meant for use on vinyl/plastics. 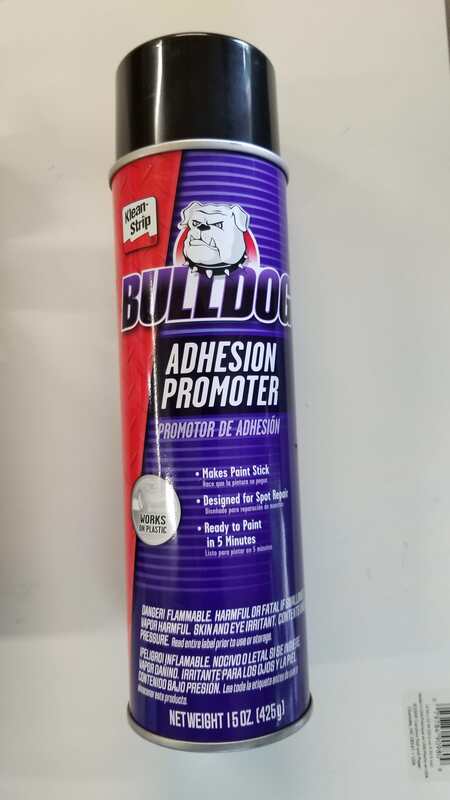 I would not, did not, rattle-can, better results using automotive paints. I have use both SEM spray cans and automotive paint mixed at a store that was sprayed using a touch up gun and also using a hobby airbrush for smaller parts. The results using the SEM cans matches the spray gun with less hassle. Only time I would consider using an actual spray gun would be for larger areas. I repainted the entire inside of my K5 fiberglass top with spray cans. Would have been easier with a spray gun. Door panel sized parts & smaller, I'll use the spray can. Ya I plan on using my gun, just for the simple fact of all the components. Probably take 2 quarts to cover everything. I am going to try to get up to my local paint store. Only issue is they are open the same hours I work and not on weekends lol. Makes it tough. 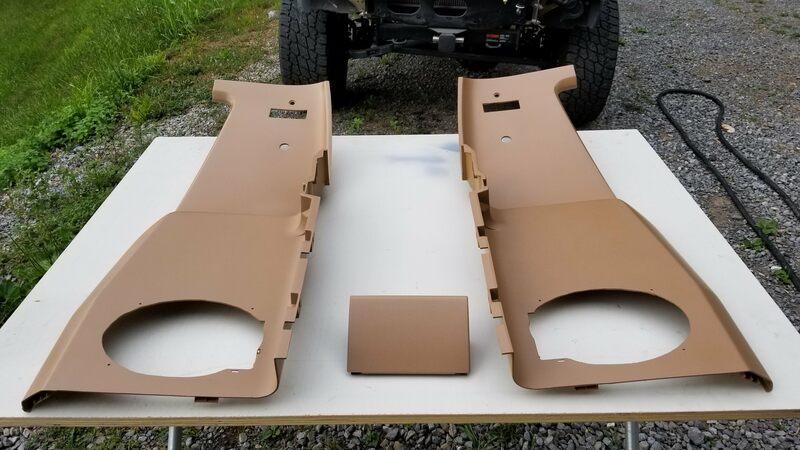 So I didn't know if anyone had previously painted their Jeep grey interior parts and had a color code/name that I could just order from SEM direct. Another vote for SEM Color Coat. Great product when applied to properly prepped and clean plastics. Sorry, I dont have the grey color code, the pieces I painted were black. SEM Landau Black matches AMC Black perfectly. 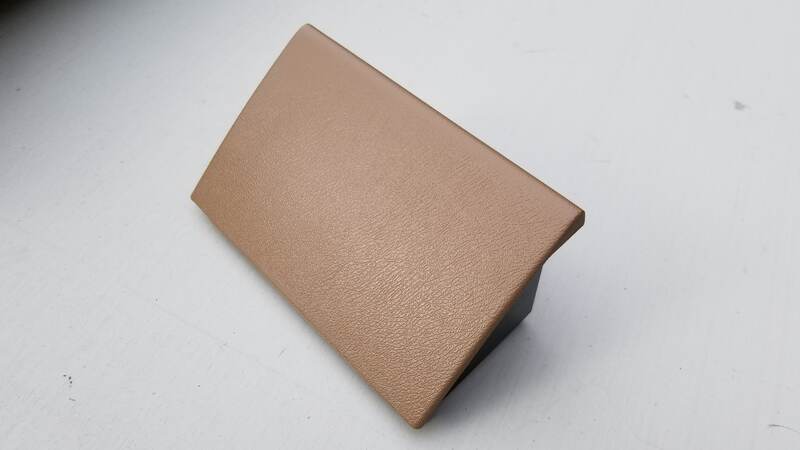 I have used a fabric/leather paint for automotive in the past with good results. This ones in tan but they have other colors aswell. It takes a lot for coverage however. Another vote for SEM. Prep is key. It'll last the life of the part if done correctly. Occasionally the factory would use paint on the interior plastics when they needed a certain color that was out of stock. AZ Jeff can you remember what the paint code was?